Mr. Juvenal and Mrs. Erlin Castro and family of San Jose, California, named as Jollibee-Coca-Cola OFW Family of the Year, for breaking boundaries in bringing books and educational materials to Filipino children. Jollibee also conferred special citations to families focused on specific advocacies. 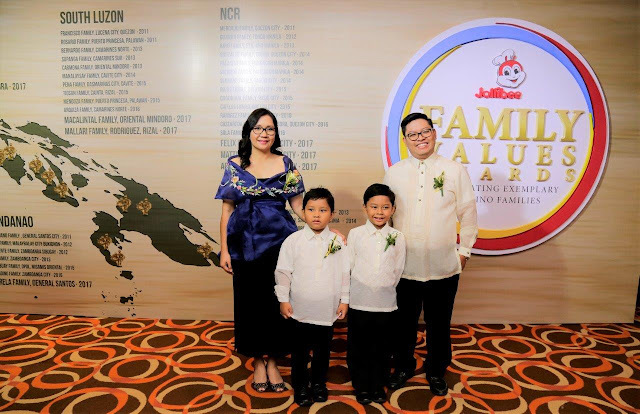 Recipients of the Special Citation for Education (co-presented with National Book Store) are Mr. Rey Dennis and Mrs. Janice Caballero and family of Negros Oriental, for bringing learning closer to the youth through the Gaba-An Youth Lead Foundation. 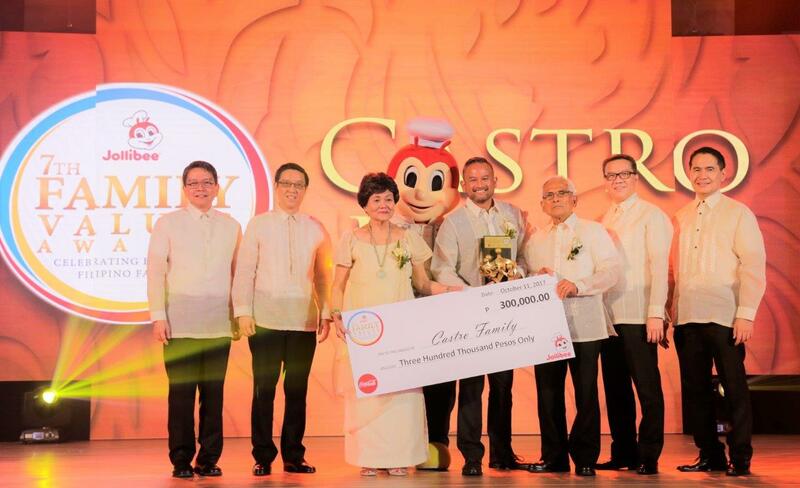 Recognized for their feeding program for underprivileged children, the Special Citation for Children (co-presented with Children’s Hour and AIESEC) was given to Mr. Arnel and Mrs. Alma Borela and family of General Santos City. 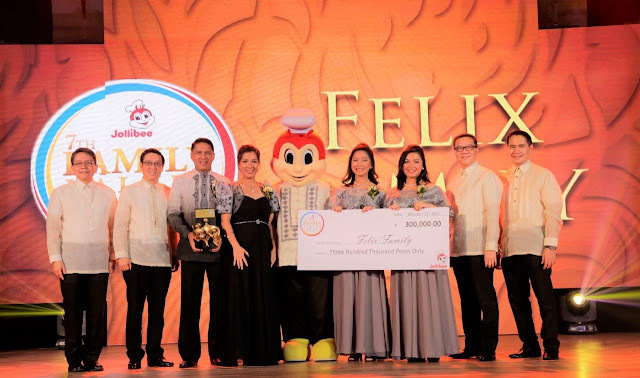 Mr. Leopoldo and Mrs. Fe Acula and family of Taguig City received the Special Citation for PWDs for their Future Vision Sighted, Inc., which provides care for the visually-impaired members of the community. 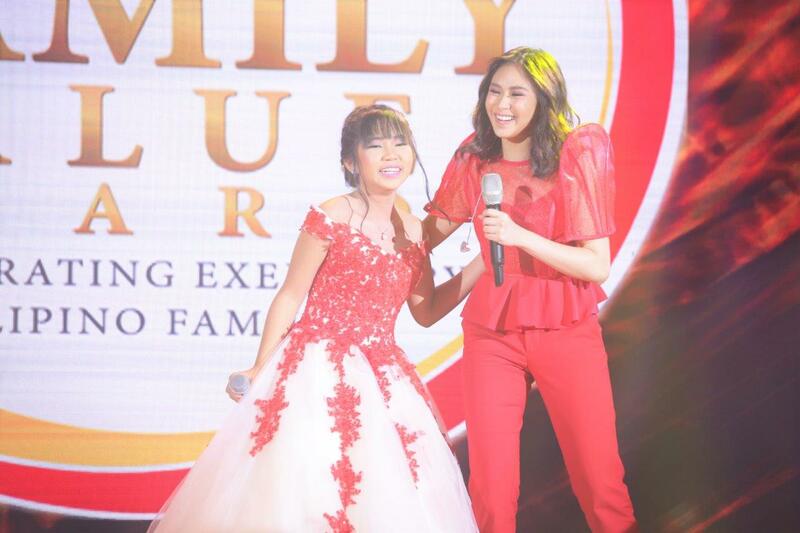 The 7th Gabi ng Parangal para sa Pamilyang Pilipino centered on the theme of pag-uukit, an age-old tradition of the nation’s forefathers to capture beauty, immortalize legacy, and pass on heritage to the future generations. 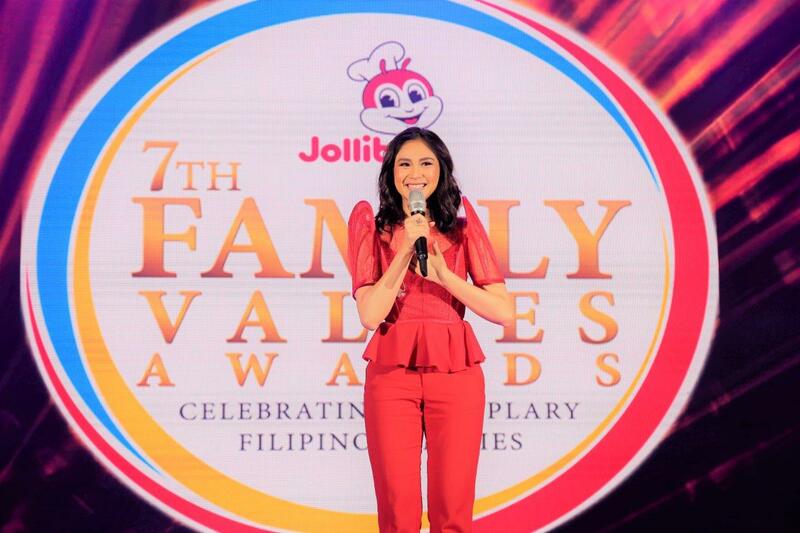 The guests were treated to world-class performances from Sarah Geronimo, Jed Madela, and Jona Soquite. The selection committee that undertook the grueling process of reviewing through the submitted entries was composed of some of the country’s most esteemed personalities. This year’s selection committee was co-chaired by Senator Sonny Angara and Ateneo de Manila President Fr. Jett Villarin. They were joined by Coca-Cola Vice President for Public Affairs and Communications Atty. 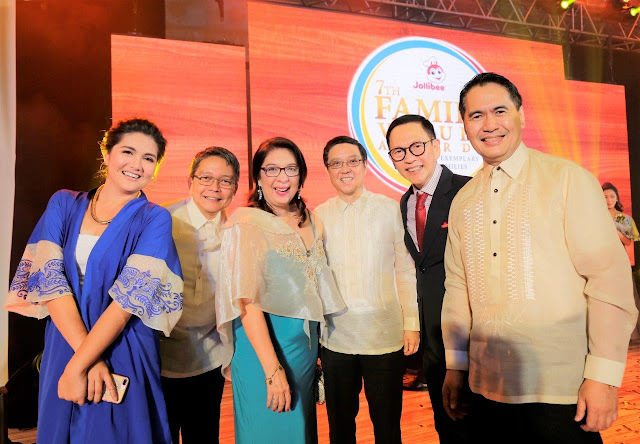 Adel Tamano, ANC news anchor Edric Mendoza, inspirational speaker Francis Kong, parenting and relationship consultant Maribel Dionisio, actress Dimples Romana, and columnist and children’s advocate Audrey Tan-Zubiri. 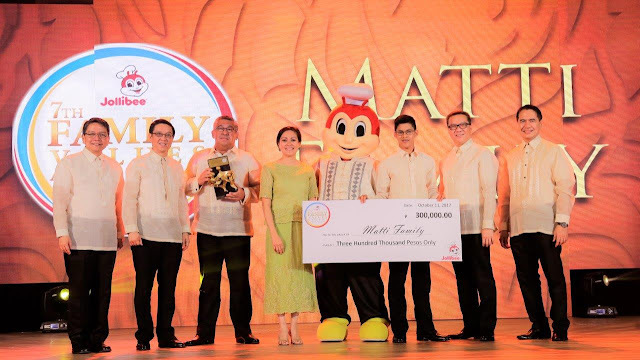 Completing the selection committee are Jollibee Global Brand CMO and Jollibee Philippines Marketing Head Francis Flores, Jollibee Philippines Vice President for Human Resources George Wang III, and Jollibee Group Foundation Executive Director Gisela Tiongson. 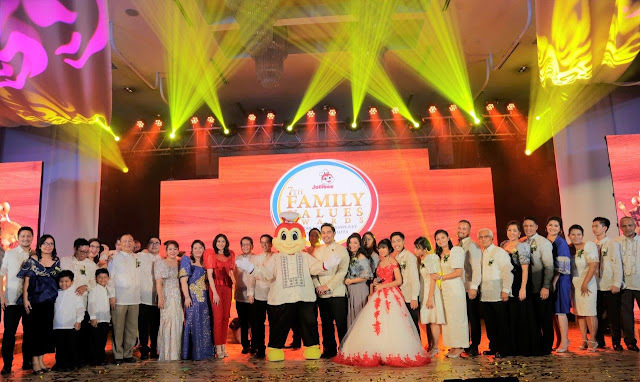 The 7th Jollibee Family Values Awards is supported by Coca-Cola Philippines, Crowne Plaza Manila Galleria, Holiday Inn, Devant, Hisense, Burger King, Chowking, Mang Inasal, Red Ribbon and Inquirer.net.